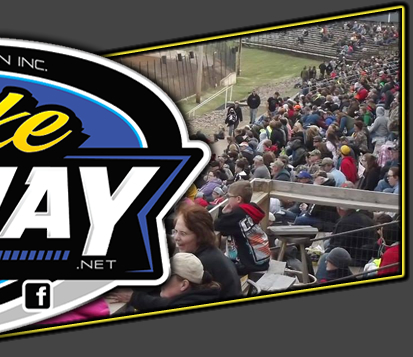 RICE LAKE, WI (August 5) – The twentieth annual renewal of the Street Stock “Little Dream” race Tuesday night at the Rice Lake Speedway smashed all records for this event. This unique event, in which the purse the drivers’ race for is largely funded by fan contributions, set all kinds of new records Tuesday. An event record fifty eight WISSOTA Street Stocks, representing five states and two Canadian provinces signed in to race and thanks to some incredibly generous fans, the winner of the thirty lap main event, Tim Johnson of Brainerd Minnesota, after the final figures were fully calculated, went home with twelve thousand, two hundred and forty one dollars and ninety eight cents! This broke the old record by nearly four thousand dollars and is believed to be a national record payoff for this type of car as fans dug deep into their pockets to reward the Street Stock drivers’ efforts. In the companion WISSOTA Modified main event, Jake Hartung earned his first ever feature win at Rice Lake. The fifty eight cars were narrowed down through qualifying action with twenty five taking the green for the thirty lap main event. Johnson, who had driven from eighth starting position to win the dash and earn the pole, took the early lead. Cody Kummer battled Johnson for a couple laps and then settled into the second position. Kummer was soon challenged for the second position as Ron Hanestad and Eric Olson moved in to race him for the second spot. Olson was especially strong on the outside and he moved outside Kummer where they raced a number of laps side by side as they fought for the spot. Meanwhile, Johnson was gradually stretching his advantage over the field as the race remained under the green. Jimmy Randall picked up the pace after starting in the fourth row as he too liked the outside lane and he drove past Olson and then challenged Kummer for second. Randall continued his charge and took over second but Johnson had established a considerable lead by this point. Johnson started working through some heavy lapped traffic but he continued to show the way with no one really able to close in on him as Randall tried his best to cut the gap while Olson and Kummer went back to their previous battle for position. It seems that the race would go nonstop when a spin in turn four slowed the action with only five laps remaining. On the double file restart, Randall dove to the high side and got a good head of steam and pulled to the back fender of Johnson. However, Tim turned up the wick and while Randall continued to push hard, Johnson again started to draw away from the pack. He remained in control the rest of the way as he won by about four car lengths and edged closed to the forty win mark for the season. Randall finished off strong while settling for second and Kummer’s late charge after the yellow saw him move back into third. Kirk Bogdanovic made a late rush that saw him charge from thirteenth to fourth with Olson completing the top five. The second five consisted of Hanestad, Nic Klein, Mike Knudtson, defending champion Sam Fankhauser and Justin Pogones. Twenty four of the twenty five starters completed the distance. The Modifieds showed off their smooth driving skills with a nonstop thirty lap main of their own. Jesse Glenz was the early leader but Paul Brust charged back under him to challenge and then briefly take over the lead. Hartung started in the second row and using the high side, he came charging quickly to the front. First he passed Glenz with a tight move in turn two and then swept past Brust to take over the lead. Once in front, he gradually pulled away from the field as he exhibited a dominating presence on the track. Brust maintained the second spot for a number of laps but eventually was overtaken by Mike Anderson who drove around him and then dropped back into the low groove. Cory Mahder was on the move too, and after starting seventh, he gradually moved in to pass Brust and then put heavy pressure on Anderson. At this point Hartung was maneuvering through some very heavy traffic but doing so smoothly that he lost little ground. Mahder continued to pressure Anderson and finally snuck under him coming off turn four. Once he cleared Anderson, he took off after the leader and as Hartung continued to work through traffic, Cory was able to close the gap slightly. However, Hartung had too much cushion for Mahder to catch him and after racing nonstop from green to checkered, Hartung spaced two lapped cars between himself and Mahder as he drove home for his first win at Rice Lake. With some fan contributions for the Modifieds also, Hartung took home $1,300 for his efforts. Behind Mahder, Anderson drove home third with Brust running a steady race for fourth and Mark Hessler made a late charge to round out the top five. The second five consisted of Jeff Spacek, Steve Hallquist, Kevin Eder, Glenz and Ashley Anderson. Another smooth running race saw twenty four of the twenty five starters still on the track at the races conclusion. The Street Stock non qualifier main went to Bob Wahlstrom who recorded his biggest win in the Street Stocks with the victory that came over Kolby Kiehl and Bill Skoug. 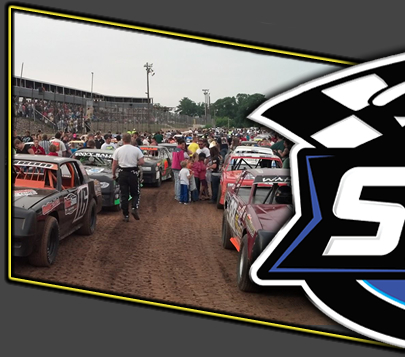 Racing action continues at the speedway on Saturday, August 9th with a five division program featuring WISSOTA sanctioning Modifieds, Super Stocks, Midwest Modifieds and Street Stocks along with the Rice Lake Pure Stocks. As a bonus, make up feature races in the Modifieds and Street Stocks from a rain shortened program two weeks ago will be held. 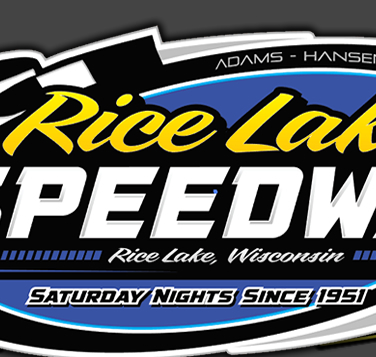 It will also be Hall of Fame night and eight new members will be enshrined in the Rice Lake Speedway Hall of Fame. Warm ups begin at 6:30 p.m.